Die Redaktion der ComFor grüßt herzlich zum Jahresstart 2014 und eröffnet das Jahr mit einem aktuellen Monitor! Im Monitor werden in unregelmäßigen Abständen aktuelle Publikationen kurz vorgestellt, die für die Comicforschung relevant sein könnten. Die kurzen Ankündigungstexte dazu stammen von den jeweiligen Verlagsseiten. No longer confined to juvenile escapism or genre formulas, comics have never been a more dynamic and challenging art form than in the 21st century. Many can enjoy widespread acclaim in the art world, literary circles and through their multimedia adaptations. Comics Art takes an international approach by tracing lines of influence around the world to give historical contexts and contemporary perspectives for this huge current interest in the medium. 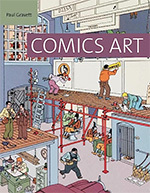 Comics Art also explores the diversity of styles, media and approaches now possible in the medium and exciting developments in digital comics and in comics conceived for galleries and installations. This book explores the idea of the “American monomyth” that pervades American hero stories and examines its philosophical and theological origins and specific manifestations in early American superhero comics. Surveying the anthropologies of six American theologians who argue against many of the monomyth’s assumptions, principally the staunch individualism taken to be the model of humanity, and who offer relationality as a more realistic and ethical alternative, this book offers a detailed argument for the intimate historical relationship between the now disparate fields of comic book/superhero film creation, on the one hand, and Christian theology, on the other, in the United States. 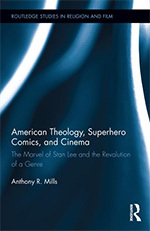 An understanding of the early connections between theology and American conceptions of heroism helps to further make sense of their contemporary parallels, wherein superhero stories and theology are not strictly separate phenomena but have shared origins and concerns. Created in 1941 by the psychologist William Marston, Wonder Woman would go on to have one of the longest continuous runs of published comic book adventures in the history of the industry. More than 70 years after her debut, Wonder Woman remains a popular culture icon. 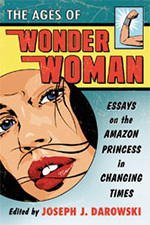 Throughout the intervening years many comic book creators have had a hand in guiding her story, resulting in different interpretations of the Amazon Princess.In this collection of new essays, each examines a specific period or storyline from Wonder Woman comic books and analyzes that story in regard to contemporary issues in American society. With the recent explosion of activity and discussion surrounding comics, it seems timely to examine how we might think about the multiple ways in which comics are read and consumed. Graphic Encounters moves beyond seeing the reading of comics as a debased or simplified word-based literacy. Dale Jacobs argues compellingly that we should consider comics as multimodal texts in which meaning is created through linguistic, visual, audio, gestural, and spatial realms in order to achieve effects and meanings that would not be possible in either a strictly print or strictly visual text. 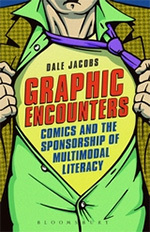 Jacobs advances two key ideas: one, that reading comics involves a complex, multimodal literacy and, two, that by studying how comics are used to sponsor multimodal literacy, we can engage more deeply with the ways students encounter and use these and other multimodal texts. Looking at the history of how comics have been used (by churches, schools, and libraries among others) will help us, as literacy teachers, best use that knowledge within our curricula, even as we act as sponsors ourselves. 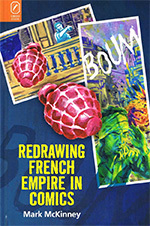 Redrawing French Empire in Comics by Mark McKinney investigates how comics have represented the colonization and liberation of Algeria and Indochina. It focuses on the conquest and colonization of Algeria (from 1830), the French war in Indochina (1946–1954), and the Algerian War (1954–1962). Imperialism and colonialism already featured prominently in nineteenth-century French-language comics and cartoons by Töpffer, Cham, and Petit. As society has evolved, so has the popular representation of those historical forces. French torture of Algerians during the Algerian War, once taboo, now features prominently in comics, especially since 2000, when debate on the subject was reignited in the media and the courts. Redrawing French Empire in Comics shows how contemporary cartoonists such as Alagbé, Baloup, Boudjellal, Ferrandez, and Sfar have staked out different, sometimes conflicting, positions on French colonial history. Throughout East Asia, people use the same word to talk about comics. Its pronunciation differs slightly from language to language though. Western script conveys it as manhwa for Korean, manhua for Chinese, and manga for Japanese. 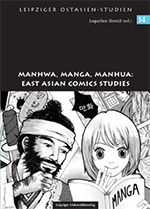 This volume takes a close look at the influences comics from Japan have had on comics from Korea and China and points out differences and similarities along with cultural questions related to the problem.